To comprehend the world of digital currencies is to know the different categories of cryptocurrencies identified by the founders. 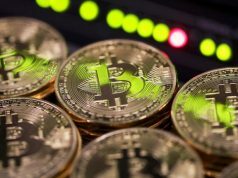 The rapidly escalating growth of the cryptocurrency market has people jumping on the bandwagon and taking plenty of risks. While most of these triumphant investors believe that luck is on their side, it is highly recommended that you educate yourself on the benefits and risks of the cryptocurrency market. When you have a better understanding of digital trading, it will be easier for you to make sound decisions when it comes to investing. Considered to be the first and original category of cryptocurrency, transactional or currency cryptocurrencies was created to be a means of exchange in the trade of goods and services. Transactional or currency cryptocurrencies was primarily intended as an alternative to government-issued currency. Its intrinsic value is independent of government regulation and hinges on the public determining supply and demand. Therefore, knowing which cryptocurrency will survive is crucial to your investment. There are several types of cryptocurrency in this category, but the original and most popular one is Bitcoin. Bitcoin offers a worldwide payment system that does not require a middleman in its transaction process, making operations fast, simple and easy. Other altcoin categories include Litecoin, which has made an effort to address the scalability issue that has affected Bitcoin as far as the exchange of goods and services are concerned. Since privacy was also a major concern among categories of cryptocurrencies, the cryptocurrencies Monero, Dash and ZCash were established. Monero is designed to provide anonymity for both the sender and receiver including their respective digital wallets. Dash offers a “private send” option that conceals the identity of the wallet’s owner and prevents various possible attacks that can be made through transactions. ZCash also provides a feature that conceals the name of the sender and receiver, as well as the amount of the transaction during the exchange. 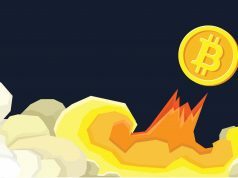 READ The High Rise of Bitcoin: When and How Did It Begin? Another crypto category is the utility cryptocurrencies. It primarily offers an innovative type of exchange that permits the consumers to make smart contracts that do not require a third party in any of its transaction processes. Since it is specially designed for a specific task, transfer in the cryptocurrency market is deemed to be more cost-effective and done in an exceedingly efficient manner. Ethereum is one of the more popular utility cryptocurrencies that offers consumers a decentralized exchange of goods and services. It aims to deliver a smooth transaction process that is free of fraud and does not require the interference of a third party or intermediary. It allows the developers to create crypto markets and transfer funds with the least risk. Also included in these categories of cryptocurrencies is Filecoin. This utility currency is a digital data and storage retrieval system that is based on blockchains. These blockchains have tokens that are attainable to consumers by supplying data storage to their clients. The final category in the cryptocurrency market is the app or platform cryptocurrencies. 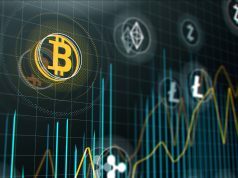 These are cryptocurrencies which were developed based on utility cryptocurrencies and are considered to be the pillar of many cryptocurrency web applications today. Augur is a type of platform cryptocurrency aimed at providing accurate predictions in the crypto market. Consumers gamble their tokens on tangible outcomes and obtain settlement costs from the cryptocurrency markets. Augur also guarantees the precise and direct reporting of the conclusions it provides. The third category of cryptocurrencies includes the Ox. It is defined as a protocol that simplifies the peer-to-peer exchange of goods and services on the Ethereum blockchain. This system provides a common standard to help in the decentralization process and applications that integrate the functionality of the exchange process. The process of trading is done through a smart contract provided by Ethereum that can be easily accessed by the public for free. The world has started to shift toward currency digitalization, and many have made fortunes by investing in the different categories of cryptocurrencies. While we can always rely on luck when it comes to investing in the digital currencies, it also pays to be aware of the whole process. Each category of cryptocurrency solves a particular question and issue. We need to know each category and type to become aware of the differences they may have with each other. Understanding the basic concepts of the cryptocurrency world will help you make intelligent choices when you invest your hard-earned money.